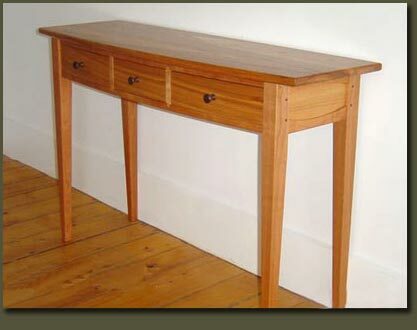 Reclaimed wood, or antique wood, is fast becoming a fashionable choice for unique furniture making and home decor. Not only is using reclaimed wood for furnishings an environmentally-friendly choice, but reclaimed wood has several qualities that can also render it more attractive and more durable than new wood. Reclaimed wood, sometimes also called recycled wood, can be harvested from many sources, such as old barns, buildings, and boats, or from old furniture itself. 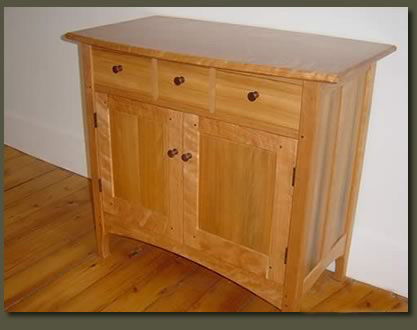 The older the source of the wood, the more likely it becomes that the wood harvested was milled from old-growth trees. Old growth trees are exactly what the name implies -- trees from dense virgin forests that over time developed certain characteristics not found in trees from second generation forests (those that have seen harvesting and management of any kind). Trees from old growth forests received limited sunlight and water due to the dense natural canopy of an untouched forest, and as a result, grew more slowly. When a tree grows slowly, its growth rings are closer together and the timber is harder, stronger, and highly dense. 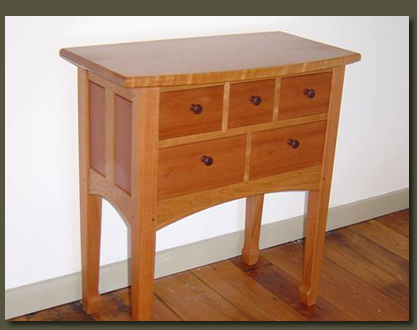 Thus, furniture made from old growth reclaimed wood is likely to be very durable. In addition to the benefits of added strength and durability, the coloring and rich texture of well-worn reclaimed wood can also be highly desirable. Aged wood has deep, beautiful colors and a rich patina that can not be imititated -- these qualities can only be bestowed by time. Add to this the fact that reclaimed wood is an environmentally friendly choice, since using reclaimed wood is recycling that which has already been used, and reclaimed wood makes an excellent choice for furniture making and home decor. Clarner Woodworks currently has limited quantities of Rheingold Vat Reclaimed Wood available. Reclaimed from the vats of the Rheingold Beer Factory in Brooklyn, New York, this wood is old growth cypress, well-known for its strength and durability, and old-growth redwood, known for its resistance to deterioration from sunlight and moisture. The unique, historical source of this wood makes it one-of-a-kind, and a perfect choice for a home furnishing item of distinction. 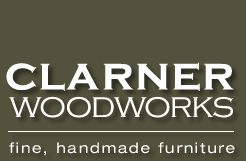 Clarner Woodworks is also the designer of the unique Rapid Gate Ski Chair, an adirondack style chair made from recycled rapid ski gates and eastern white cedar. This chair was featured in Ski Magazine, and makes a wonderful gift for ski enthusiasts and folks who appreciate a touch of whimsy in their home decor. To complement a kitchen furnished with reclaimed wood furniture, Clarner Woodworks is also offering its Reclaimed Wood Rustic Pot Rack. This 12 hook potrack is handsome and durable, and offers an environmentally-friendly choice for kitchen accessories.